Finally the lightest electric bicycle has been released by Reef invisiTRON, boasting light electric bikes in Melbourne, Australia, starting at 11kgs, less than half the weight of the competition. This breakthrough technology has taken the e-bike industry by storm. Everyone has been wanting an e bike that is not a heavy, chunky, ugly looking tank, most riders wont even consider getting one because in the past the technology and design has been poor, but with Reef`s invisiTRON new technology this has changed. 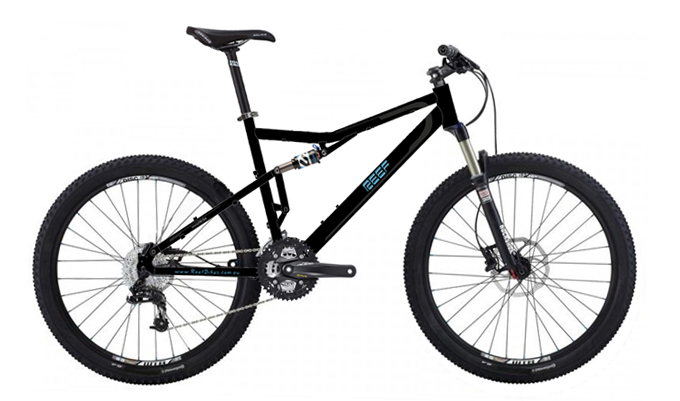 Reef has now been taking orders from customers that were anti electric, even road racing enthusiasts have been getting excited about the invisiTRON R1 road racing model, at only 11kgs, this high end road racing model gives the rider extremely high end, light weight performance, and with the assistance of the 250W motor, riders have been flying. So why is the Reef invisiTRON series so popular? Extreme light weight? Beautiful design? Invisible electronics? Panasonic battery hidden inside the sleek thin frame tube? Micro hub motor that is so small it cannot be seen behind the gears? High end Shimano gears and components? Well the list just keeps going on. This Australian technology trademark design by Reef Bikes, is thinking outside the box, bringing the future of electric transport to the Australian people first. You dont have to carry around a 25kg electric bike anymore, you dont have to look silly with a huge heavy battery pack sticking out of your bike, you dont have to pedal hard when your battery goes flat. The Reef invisiTRON comes in 4 different models, the R1, M1, X1, C1, starting at a total weight of 11kgs including the battery and motor and everything. Being such a light electric bicycle, the performance is smooth and fast. The battery usage is extremely efficient, giving you long distances of up to 100km per charge. You can even ride this bicycle, as a regular non electric bike with smooth fast pedaling performance too. The Reef invisiTRON series is now available in Melbourne, Australia. 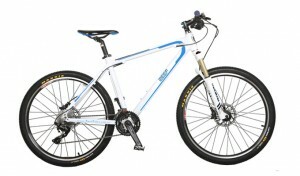 The best electric bikes, the Reef invisiTRON series has been released in our Melbourne stores. Using the latest innovation in motorised bicycle technology, invisiTRON by Reef Bikes Australia. This never seen before technology boasts huge breakthroughs in weight, distance, efficiency, performance, and last but not least good looks! Boasting the lightest electric bike in the world, the invisiTRON R1 is only 11Kgs, fully loaded with battery, motor, and everything. Most other brands weigh about 24Kgs usually. So at 11kgs the R1 is even less than half the weight of other brands. With light weight, best hidden electric technology, and stylish design, the Reef invisiTRON series is set to leave the competition behind, with record sales and huge waiting lists to get one. The Reef invisiTRON series comes with 4 models, the R1 Road Racing, the X1 Full Suspension, the M1 Mountain, and the C1 City Commuter Ladies model. 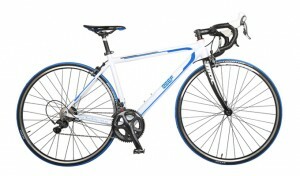 All extremely light weight, even lighter than most regular bicycles without batteries and motors. So how did Reef produce such innovative technology? Reef always wanted to build an electric bicycle with all electric parts hidden or invisible to the eye. Including being built with a Panasonic lithium battery, which is large in capacity but small in physical dimensions and weight. 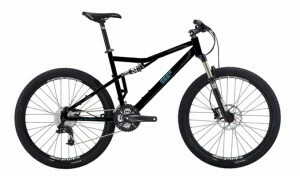 So thin its fitted inside Reef`s frame tube design. Look how slim the tubes are on the invisiTRON frame. Using a 250W high torque and high efficiency micro hub motor, which cannot even be seen behind the gear cassette of the invisiTRON bikes. But still producing more power than other 250W motors and brands. How can this be possible? Because the Reef micro hub motor, uses the latest technology, which converts your lithium battery to more power much more efficiently. Getting riders up hills effortlessly, and reaching top speeds in a matter of seconds. Built with high end components, full Shimano gear sets and hardware, the pedaling performance is also the best, with quick trigger shifters, STI racing shifters, and full 27 speed Shimano sets, the Reef invisiTRON pedaling feels even smoother than most regular bicycles. So if you are looking for the best electric bikes in Melbourne, and the leading edge technology in the industry, the future is already here with Reef invisiTRON. Ladies electric bicycles are made for comfort, style, and ease to ride. The European style ladies e-bikes have the low step through frame, so anyone can easily mount the bicycle, and jump on, without having to throw your leg over the whole bike. Perfect for ladies dressed up, and even business men wearing pants. Great for commuting to work and back when wearing non sporty outfits. The seat is a wide, thick and comfortable saddle, designed to make your ride enjoyable. With high raised handlebars, that come up and back towards you, making your riding position upright. Giving you that comfortable upright ride, so you dont have to be bending your back, and leaning over. A ladies electric bike will make your ride easy. Another advantage of cruising around Melbourne with your ladies model, is the gears are hidden internal hub gears, with full chain guard covers, protecting you against greasy chains, and clunking gears. With internal hub gears, you can change gears much smoother, without the hassles of your chain clanking and jumping around. Riding around with large 700C hybrid tyres, you will get faster pedaling performance, and you will be able to keep your top speed momentum up with ease. The tyres are the perfect blend for on the road, and also will handle offroad too. 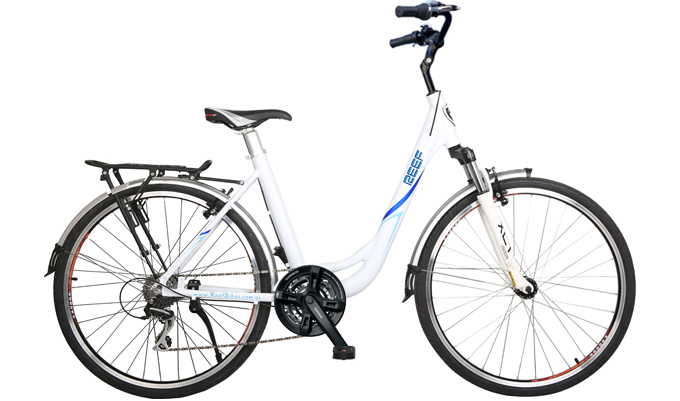 So for getting around in classy and style, with comfort and smooth performance, you cannot go past a ladies European style electric bicycle. A bicycle doesnt have to be a pain to ride, simply choose the right bike for your application, and you will feel the difference. Perfect for long distances, commuting to work, upright riding position, comfort and performance. A Ladies step through bike, is not only for ladies, but unisex for men too. Often referred to as the business mans commuting style of bike, anyone should feel comfortable riding them. Copyright Reef Electric Bikes Melbourne. All Rights Reserved.